Three-day workshop to be held at UW-Madison. The Wisconsin School for Beginning Market Growers, a three-day workshop for anyone interested in starting a fresh market vegetable farm, will be offered Jan. 13-15 on the UW-Madison campus. The school was begun 14 years ago to help aspiring market growers take advantage of the rising demand for local and organic food and rapid growth in farmers' markets, community-supported agriculture farms, and stores, restaurants and institutions seeking locally produced vegetables. But one of the first lessons is that it takes more than demand to make an enterprise succeed, says John Hendrickson, the school's coordinator. "While the popularity of local food creates opportunities, it does not ensure a profitable or enduring business," he cautions. "Our intensive workshop provides a comprehensive look at what it takes to start and operate a business growing and selling fresh vegetables. We want people to not only learn how to grow food, but also how to make smart decisions about marketing, pricing, capitalization and labor." 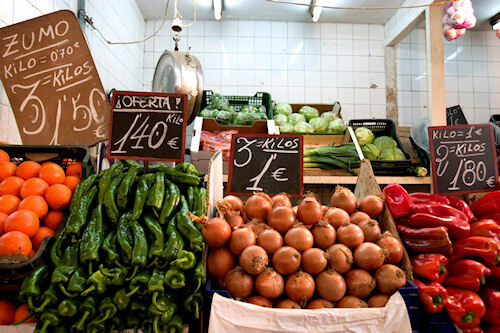 The program emphasizes organic production methods and direct marketing. Participants will learn about fertility management, greenhouse use, season extension, pest management, equipment needs, planning and budgeting. The program's instructors include experienced growers and UW faculty and staff. Practical know-how is the cornerstone of the course, but past participants have appreciated hearing the real-life stories of experienced growers and being able to network with peers who share their interest in making a business out of growing and selling fresh produce. 265-3704 or jhendric@wisc.edu, or visit the CIAS web site: www.cias.wisc.edu .